We are about a month away from spring and it's time to start pulling out those warm weather clothes. 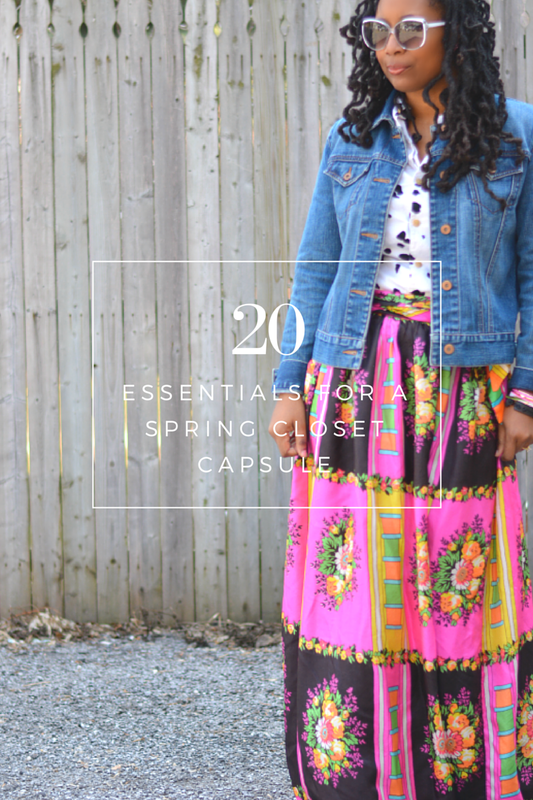 This spring you may want to consider a capsule closet. A capsule closet is a collection of clothing made up of a few interchangeable pieces from which a number of outfits can be created. Determine if it's the right move for you and tips for building the perfect capsule in this Mode sponsored post. 1. People who are trying to live a minimalist lifestyle. Cutting back on excess and possessions is always so freeing. Not just for your closet but in your mind. You have more time to focus on things that are important to you. 2. People who are short on closet space. When I lived in Chicago, I never had enough closet space even with extra rooms and walk-in closet. My closets were always overstuffed. Pairing down to twenty items would have made a considerable difference. 3. People who want to save money. In the long wrong, limiting your closet to a small number of items is definitely going to free up your money for other things. If you're considering a capsule closet, use the three step guide to clear closet clutter first. Then, Check out 20 Essentials for Setting Up Your Spring Capsule Closet by Lana Migliore Katsaros at Mode. Don't forget. You can always fill in missing pieces with quality thrift store pieces. Look for clothing with good bones and made with natural fibers (cotton, silk, wool) that will hold up over time. What items would you include your spring capsule closet?